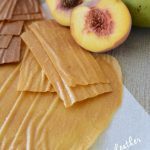 Homemade Fruit Rollups (or Fruit leather) is such a healthy snack to make at home. Did someone say homemade fruit roll-ups? 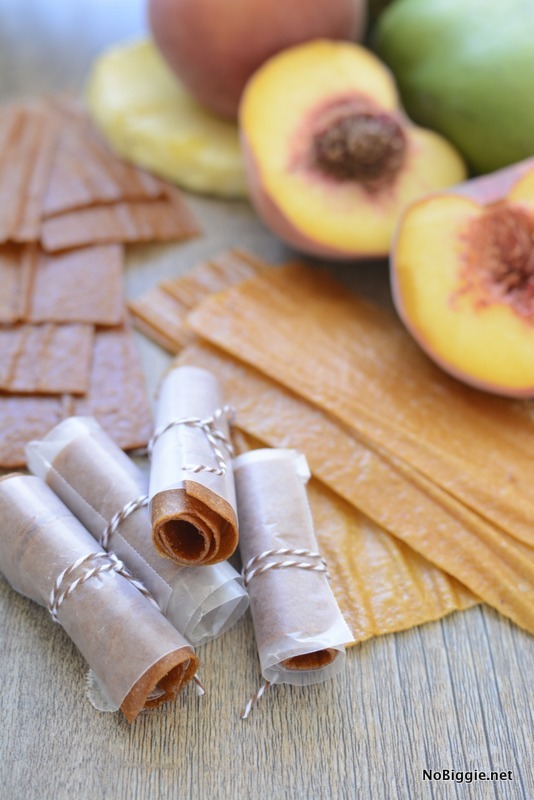 Fruit leather or fruit rollups whatever you call them, you can’t go wrong with making them at home. Plus it’s nice to know exactly what’s in them…no added preservations. 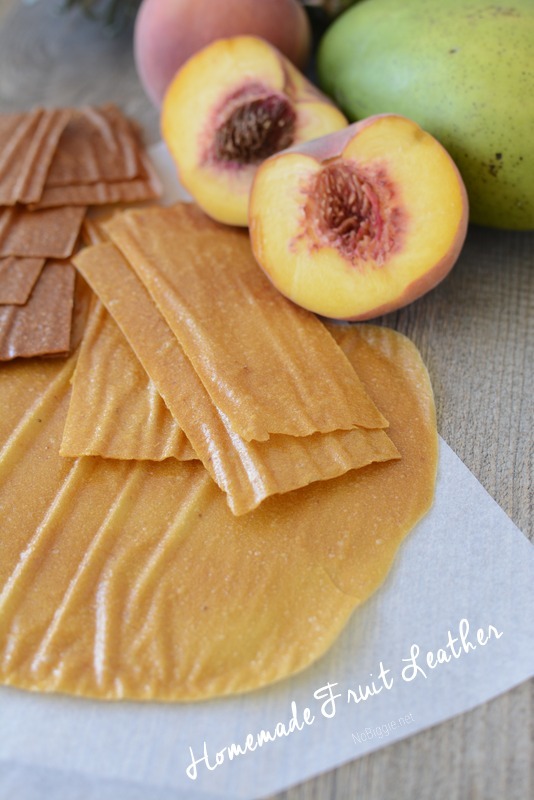 I have the most fond memories of walking into my Grandma’s home in the Fall and smelling the sweet fruity aroma of drying fruit leather. Every time we make these at home the aroma takes us back. Strawberry, raspberry, peach, mango, pineapple, plum… the list of different flavors or flavor combinations you can make goes on and on. What may very well be the best part (aside from eating them) is how easy they are to make. 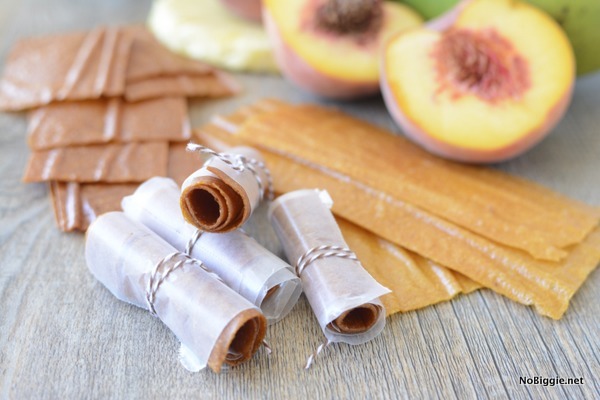 These homemade fruit roll-ups are so easy and delicious. Your family and friends will love them, I know it. The best part is that you don’t have to feel so bad about it tasting like candy because they’re made with whole fruit (plus a little sugar, if needed). So they’re even a little healthy. YAY! Wash fruit. Peel/core/pit fruit then cut up in chunks. Put in blender until pureed. 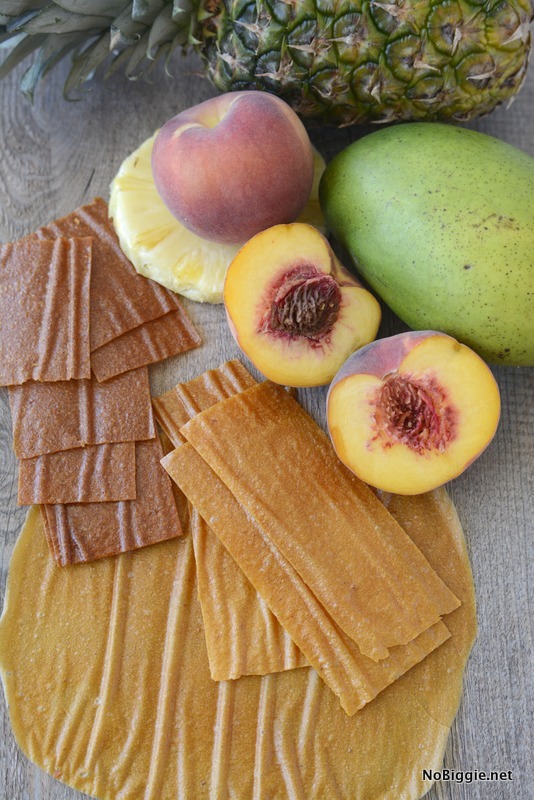 Pour pureed fruit about 1/4 inch thick onto a baking sheet or food dehydrator sheet LINED with parchment paper. The parchment paper will make peeling it off the sheet much easier. We used the Excalibur Food Dehydrator. When using this dehydrator it takes about 4-5 hours at 135 degrees. That’s it! After they are dried, you’ll want them to be soft not crunchy plus slightly tacky, but not sticky. When they’re ready, cut into squares or strips then roll them up in strips of wax paper and store in an air-tight container. What flavor combination would you want to try first? Did you spray your parchment paper? I did exactly as the recipe said. 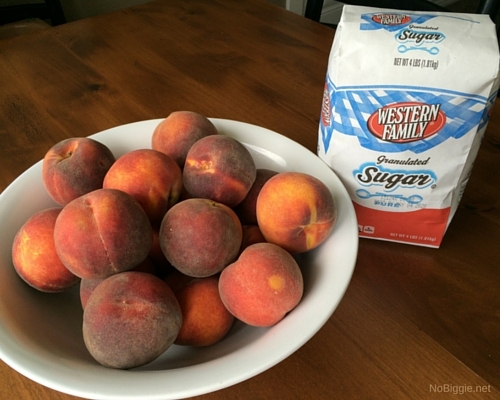 I did peaches and I added a bit of sugar, but it won’t come off the parchment paper! 🙁 I have a dehydrator I used. It has those plastic sheets that go on the trays and I first just lightly oiled them but it was way hard to get the fruit leather off so I tried the parchment paper and they came off the plastic sheets great but now the paper won’t come off my fruit leather! Oh no! That is so strange! We love parchment because things don’t stick to it. No we didn’t spray it.